One of the coolest things about being a comic book artist, is meeting other creators, and occasionally trading art for art. 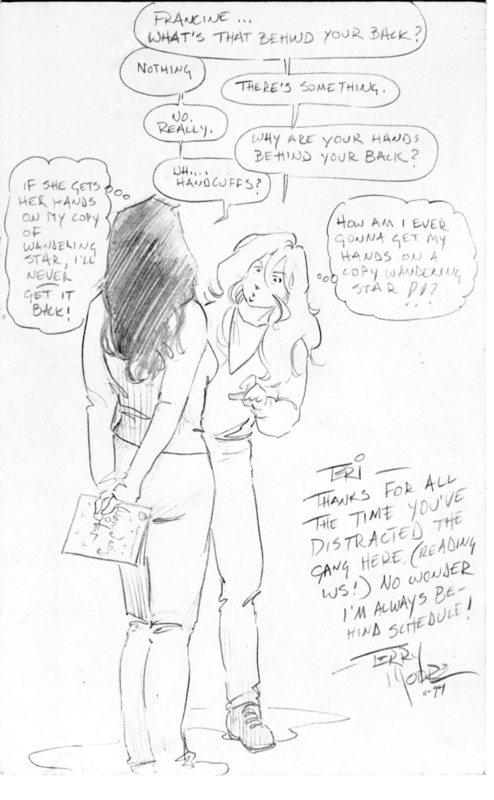 This is from the fantastic, TERRY MOORE of STRANGERS IN PARADISE, ECHO, AND RACHEL RISING. If you haven't read one of his works, I suggest you get right on that. The ladies in the art are Francine and Katchoo from Strangers In Paradise. I adored these two.